An uplifting atmosphere, warm reception, and an extraordinary experience makes the Capitol Hotel Dubai one of the best 4-star hotels in Dubai. As Dubai continues to grow as one of the most prominent metropolitans in the world, this hotel, situated in the heart of Dubai, offers services and facilities provided that spell pleasure, cosiness and proficiency. The hotel is set just a few minutes away from Dubai’s major attractions such as the Dubai World Trade Centre, Burj Khalifa, etc. Connect with the hotel’s tour desk to know if there are any exciting offers on local attractions. 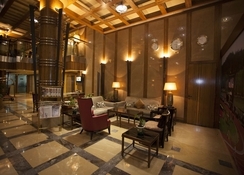 The Capitol Dubai Hotel boasts contemporary infrastructure with an implication of stylishness. Its 168 rooms include sixteen elegant suites, so all that you have to do is open the doors and experience the classy luxury. 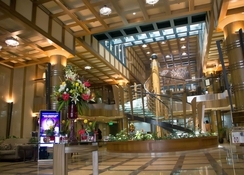 The Capitol Hotel Dubai is located ideally in heart of the Dubai’s business district. It is just a few minutes’ drive from the Dubai World Trade Centre. 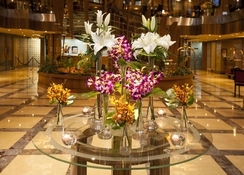 Its central location is advantageous to guests to enjoy the spectacular views of the skyscrapers in Dubai. Burj Khalifa, which is the tallest building in the world, is 7.8km from the hotel, and the Dubai Mall is about 8.5km, making it convenient for shoppers. Guests will not find it daunting to board their flights on time, as the Dubai International Airport is only 12.2 km away from the hotel. The Gold Souk and Burjuman Mall are less than 3km from the hotel. Whether you are a single traveller, couple, with your family or with a group of friends, you will find different room types to suit your needs. The hotel has 168 rooms in five categories – Standard Single Room, Executive Twin Room, Executive Room (Single/Double), Falcon Suite and Emiri Suite. All the rooms have all the necessary amenities that include air conditioning, mini bar, internet Wi-Fi, room service, Built-in safe, LCD TV and much more. 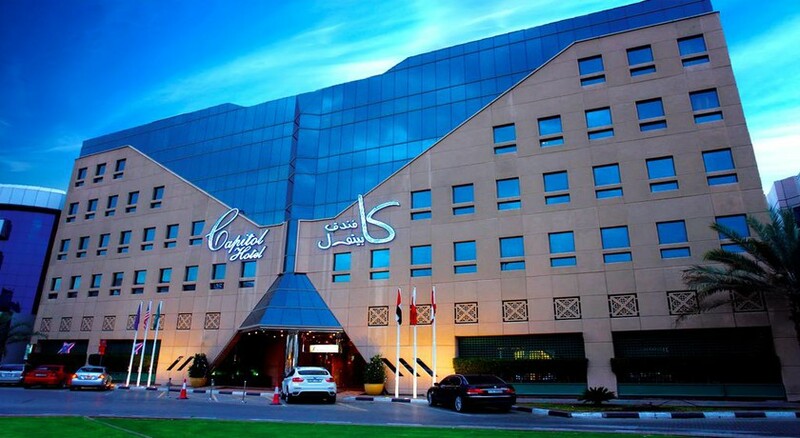 The Capitol Hotel Dubai features four restaurants, one sports bar/lounge and one nightclub. The Imperial Garden Chinese Restaurant offers oriental cuisine, Bazwerkan Lebanese Restaurant offers authentic traditional Arab-Mediterranean cuisine, Xanadu Restaurant & Night Club offers Lebanese and Arabic entertainment, The Aitrium Coffee Shop is an all-day dining restaurant. Hit the Olympic Sports Bar/Lounge for a perfect hangout in the evening, here you can not only have drinks, but play darts, and shoot pool. In the mood for some clubbing? You don’t have to go far – the Czar Russian Restaurant & Nightclub provides a unique experience with live band, singers and dancers performances. This is one of the few 4-star hotels in Dubai that offers ample sports and entertainment facilities. There is a swimming pool, where you can relax and cool down under the sun. You can also maintain your fitness at the hotel’s well-equipped gym. Other than this, there is a massage centre, which offers a wide range of therapies such as traditional Thai massage, shiatsu massage, Swedish massage, reflexology, acupressure and aromatherapy massage. Pick any one and truly unwind during your stay at the Capitol Dubai Hotel.